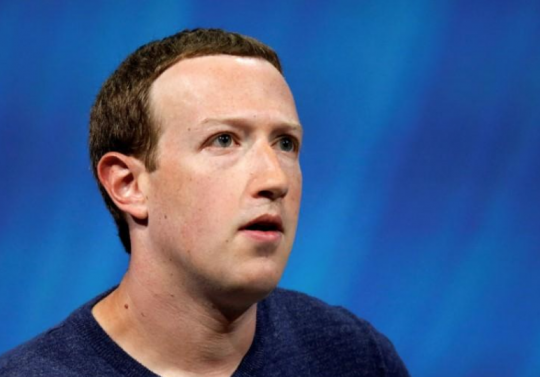 (Reuters) – Facebook Inc Chief Executive Officer Mark Zuckerberg’s fortune is set to take a $16 billion hit on Thursday, as the social media giant braces for the biggest one-day wipeout in U.S. stock market history, a day after its executives forecast years of lower profit margins. Facebook shares were down 20.4 percent at $173.20 in premarket trading, a decline that would wipe about $128 billion off the company’s value – or nearly four times the entire market capitalization of Twitter Inc. Describing the announcements as "bombshells", Baird analysts said the issues were to a large degree "self-inflicted" as Facebook sacrifices its core app monetization to drive usage. Of 47 analysts covering Facebook, 43 rate the stock as "buy", two rate it "hold" and two rate it "sell". Their median target price is $219.30. The $16.4 billion in net worth that Zuckerberg stands to lose would alone be enough to get a rank of the 80th-richest person in the world, a position currently held by real-estate developer Donald Bren with a net worth of $16.3 billion, according to Forbes. "Unlike Netflix, whose quarterly shortfall we saw as temporary, here we see an evolution of the story, albeit a portion of which we expected," said Daniel Salmon, analyst at BMO Capital Markets. "Bears win this quarter … but not the war," said Brent Thill, an analyst with Jefferies. This entry was posted in Issues and tagged Economy, Facebook, Stock Market. Bookmark the permalink.